List of Pakistani movies that are schedule to release on Eid-ul-Fitr 2019 in Pakistan. Pakistan Film Industry is functioning harder to elevate it higher and to become one of the successful film industry in the world. In the film industry new projects have been in progress and some have been accomplished. This Eid ul Fitr several most entertaining, full of action and comedy films are schedule to release in Pakistan. The Censor Board of Pakistan had banned the screening of the Bollywood movies in the country so there would only be the Pakistani movies that will be screened on cinemas. This Eid-ul-Fitr several movies are schedule to hit the cinema screens including Chhalawa, The Legend Of Maula Jatt and Wrong Number 2. 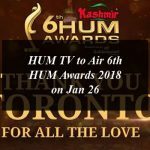 All these Pakistani movies featuring the renowned and multi-talented Pakistani actors and actresses including Mehwish Hayat, Azfar Rehman, Zara Noor Abbasi, Asad Siddiqui, Mehmood Aslam, Fawad Khan, Mahira Khan, Hamza Ali Abbasi and Humaima Malick, Javed Sheikh, Sami Khan, Neelam Muneer, Danish Nawaz, Shafqat Cheema, Nayyar Ejaz and may other veteran actors. Chhalawa movie is the combination of love, romace, comedy in Punjabi touch just like the successful movies Punjab Nahi Jaungi and Load Wedding. This movie is and produced by Wajahat Rauf and Amil Tamour Daud khan under their Showcase Films. The star cast of the movie Chhalawa includes Mehwish Hayat, Azfar Rehman, Zara Noor Abbasi, Asad Siddiqui, Mehmood Aslam. Chhalawa movie will be released on Eid al-Fitr 2019, by Hum Films Insaaf production house and Eveready Pictures. The Legend Of Maula Jatt is the action drama film which is schedule to release on Eid ul Fitr. it is actually the sequel of the 1979 movie Maula Jatt (Pakistani Punjabi action film featuring Mustafa Qureshi and Sultan Rahi). The star cast of the movie The Legend Of Maula Jatt includes Fawad Khan, Mahira Khan, Hamza Ali Abbasi, Humaima Malick, Gohar Rasheed, Shafqat Cheema and Nayyer Ejaz, and a cameo by Ali Azmat. The Legend Of Maula Jatt is directed and written by Bilal Lashari, produced by Ammara Hikmat and Asad Jamil Khan under production banner of Encyclomedia. Javed Sheikh is back with the sequel of the Wrong Number. The Wrong Number 2 will be released on Eid ul Fitr 2019 and is expected to be the superjit just like its sequel. The star cast of the movie Wrong Number 2 includes Sami Khan and Neelum Munir, Mehmood Aslam, Nayyar Ejaz, Danish Nawaz and Shafqat Cheema. The film will be released by ARY Films in cinemas nationwide on Eid. This is a developing story for more information stay in touch with daytimes.pk. You Can Enjoy These Pakistani Movies On Eid-ul-Fitr 2019. All about Pakistani movies set to release on Eid-ul-Fitr 2019 in Pakistan.